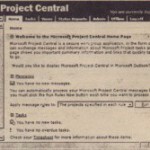 Home » Project 2000 Basics » What Is a Project ? • Auditing your organization’s software or accounting systems. four project parameters-time, scope, performance, and costs-are related. This relationship is often expressed as a formula [C-f(P, T,S)], which indicates that a project’s Cost is a function of a project’s time, scope, and performance. One definition of project management is efficiently using resources to complete a project as designed, on time, at the desired level of performance, and within budget. These project parameters are also called Constraints. At any in tune, you can controller}’ three of the four parameters because When one of the project parameters changes, at least one other parameter must change In Imagine, for example, that you’re adding a deck to your home. The planned deck is an incredibly tasteful-square-foot redwood deck with built-in benches and a small yet attractive planter. A few months ago, your contractor, said that she can build the deck for a total cost of $2,500 with three weeks’ notice. There’s only one problem: the deck needs to be completed in the next ten days. You already sent out the invitations for your Inaugural deck barbecue, but neglected to contact the contractor. The project time changed, so performance, scope, or costs must also change. The contractor’s possibilities are limited, as follow. • Performance: “We have an additional crew that hasn’t built a deck before, but they’ve got some extra time on their hands, so we can assign them to help. • Scope: “We can’t build the benches in time; and the deck won’t be stained treated. • Costs: “We can build the deck as planned, but it will cost an extra $750. I’ll have to pay overtime and rush ship the redwood. It’s usually easy to know when a project’s time criteria change. The project manager (in our example, the contractor) is notified tha~ work must be completed sooner, or could finish later. Changes in scope, on the other hand, can sneak into a project as managers, customers, and team. members request seer:’ingly minor enhancements. aquaplaned chants In project scope is understandable. The project manager and team members want to create a product that people use. Fulfilling requests for minor changes is relatively easy and will certainly please the requester. The cumulative effect of these small changes, though, can significantly extend the project timeline and costs. Experienced’ project managers have a formal process for reviewing and approving changes to the project. he process is communicated to everyone involved with the project to stave off scope creep. matter of months. Other projects span years, team members leave, and new members .are added, but the scope and budget for the project remain unchanged. also Referred to as the concept stage or stage, the protect is lust. that. Someone realizes there is a problem in search of a solution’ or an opportunity that the organization can take advantage of. For example, the Customer Service department reports that half of their cal, about software X are user questions about installation. The urge, of course, Is to Immediately search for a solution. One solution is to rewrite the relevant portion of the user guide, but is it the best solution or even an appropriate solution? To answer this question, you need to have a better understanding. of that problem. • The Customer Service department gets too many calls about installation. • The installation program is too difficult for customers to use. • The installation program doesn’t work Lowenbrau computers.The instructions for the installation routine are incorrect or hard to follow. • Customers often purchase the wrong software for their computer because the software packages aren’t labeled clearly. Each of these problems has one or more solutions, but the solutions are different. helps explain ~ fail. The definition of the problem determines the solutions that the project team will exam Iine and eventually choose to Implement, If you’re focused on rewriting the Installation program, you won’t spend a lot of time looking at the product packaging. An often heard complaint during the project definition stage is “We all know what the problem is, so why are we wasting time talking about i~ Let’s get to work!” The challenge of the definition stage is to take the time to breakthroughs the problem, beginning with the naive question: What is the problem we’re to solve? NOTE In the past decade, the trend in project management has been to study and defilement the problem and its solution from the customer’s point of view. For example: Customers should be able to easily install and use the correct version of software X. When the problem definition is complete, check it out With people outside the project team. This is a good time to talk to the person or department who initially identified the problem. When a problem involves customers, some organizations survey customers to help gauge the accuracy of the definition. When the definition is accurate, the team can begin identifying potential solutions. Brainstorming possible strategies that address the problem Is a good way to begin. Then, each strategy needs to be quickly assessed to estimate the time and resources involved. As you’ll see in later chapters, you can use Microsoft Project 2000 to assess strategies. You’ll eliminate some strategies in this analysis because they’re cost-prohibitive, require resources your organization can’t hire or contract, or would take too long to complete. For the remaining strategies, you’ll complete risk assessment, Ask what can go wrong and how your tern could respond if the worst happened. Use the risk assessment to eliminate high-risk strategies and identify risky aspects of acceptable strategies. Choose the best strategy from those with a level of risk that’s acceptable in your organization, and begin designing a project to implement the strategy. Before you begin, check again to make sure that the selected strategy will solve the problem you defined. • finalize the project scope.